So. 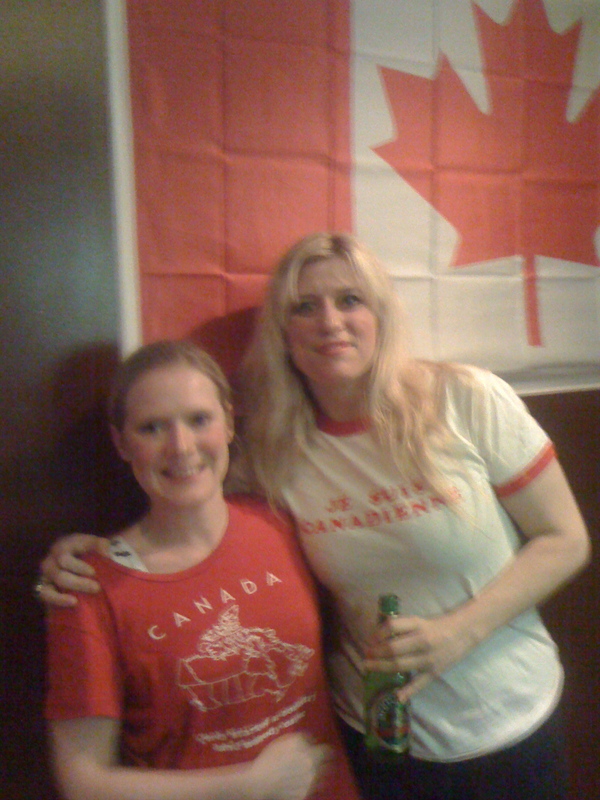 A few of my friends and I went to Canada Day celebrations at a bar in the city centre on Friday night to celebrate...well, Canada Day. 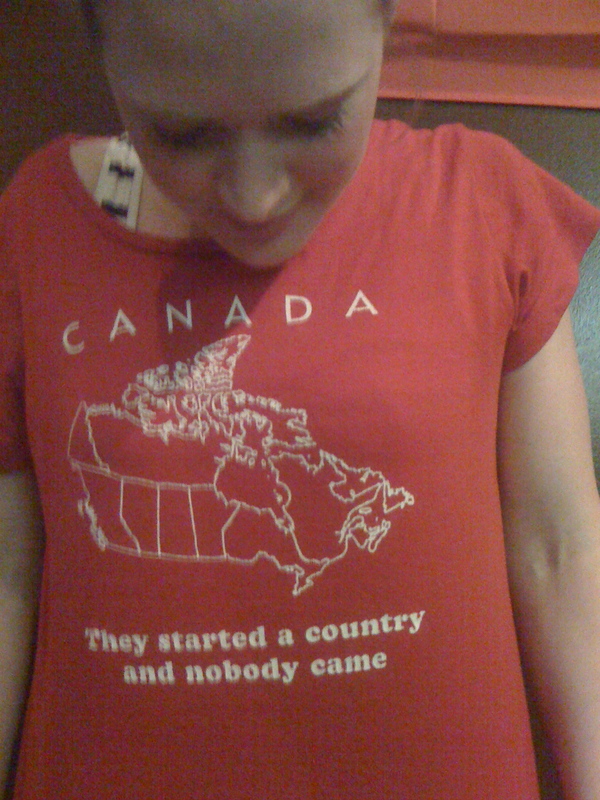 What started out as a fairly quaint gathering of Canadians and admirers of Canada, descended into mayhem populated by beefy Canadian, backwards-baseball-cap-wearing frat jocks and their shrieking big-teeth Canadian girlfriends. Apparently they were from one of the universities (not Glasgow University), studying physiotherapy...because someone has to and I guess that's what former varsity jocks do? I don't know. It was fun and I particularly loved the nanaimo bars that were on offer, but we left around midnight. 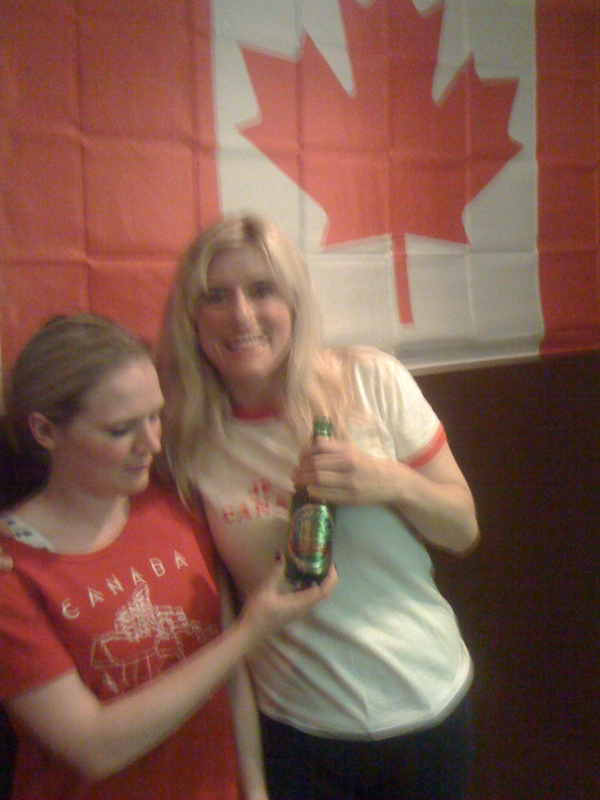 There was even Moosehead beer so really, it was kinda all worth it. Lauren even got to borrow my awesome shirt. It's funny 'cause it's true, right? PS if you feel my message here is spamming, feel free to delete it. That wasn't my intention. It was just to let you know the party was on!